If you see the black rectangle in place of the video clip, then you will not see any live preview of the recolring. This is because you see a black rectangle instead of a frame associated with the video clip. 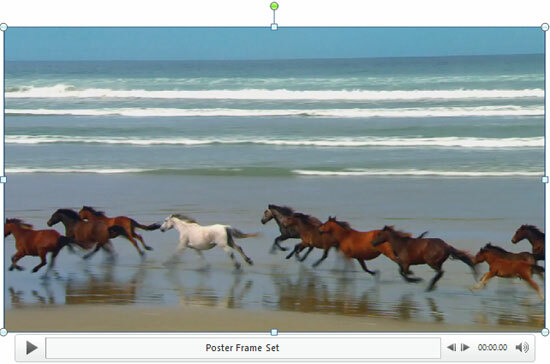 To make sure you see a video frame during live preview, add a Poster Frame to your video clip -- that way you will see a video frame in the place of black rectangle, as shown in Figure 2 below. 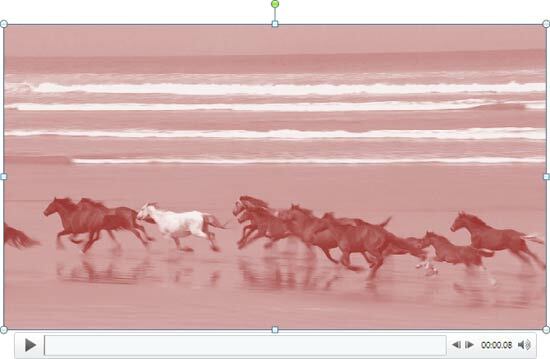 Now, within the Video Tools Format tab, locate the Adjust group and click the Color button (highlighted in red within Figure 3) to access the Color drop-down gallery that you can see in Figure 3. Theme Colors: Here you can select any of the colors which are from the active Theme of the presentation. You can also select any of the 5 tints or shades for any Theme color. Learn more about Themes here..
More Colors: This option is to summon the Colors dialog box as shown in Figure 5. This dialog box has two tabs: Standard and Custom -- first select the Standard tab (again, refer to Figure 5). Again, you can even change the transparency value of the selected color in the Transparency slider below. Choose any color and click OK to apply it. 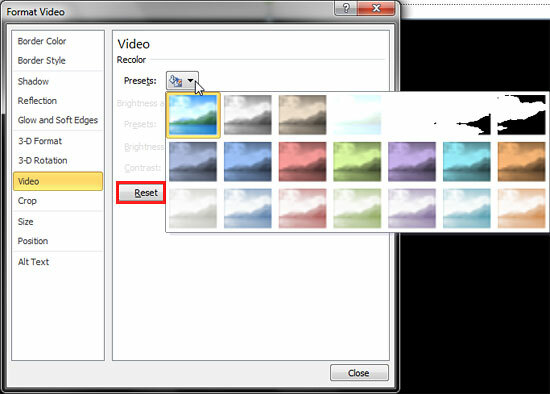 Video Color Options: This is the last option within the Color drop-down gallery which takes you to the Video panel within Format Video dialog box that you can see in Figure 7. Note that in Figure 7, the options that are not related to Color have been grayed out. 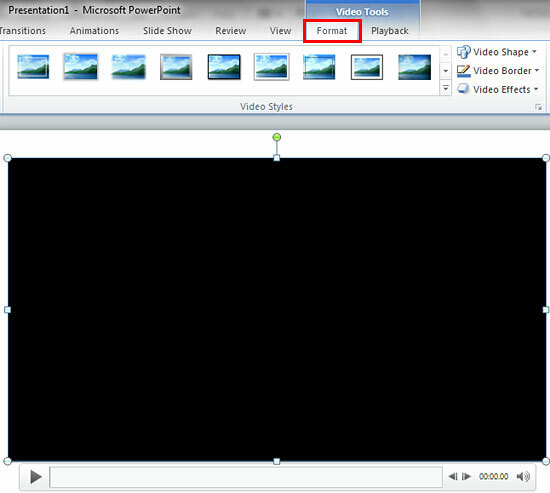 These other options are explained in our Video Correction Adjustments in PowerPoint 2010 tutorial. 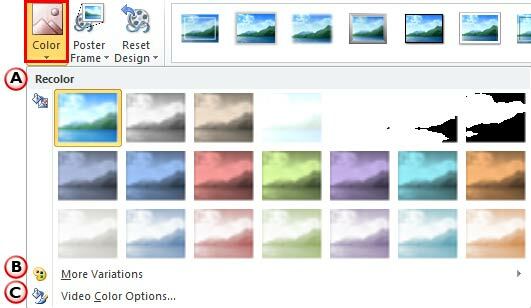 Here, you can select any of the Recolor Presets types (same as in Recolor section within the Color drop-down gallery). If you want to abandon all changes made to the video clip within the Recolor area, click the Reset button highlighted in red within Figure 7, above. Note that when you click this button, the video will be reset to its original form. Once done, click Close button to apply the changes to the selected video and get back to your slide. Recolor the video by selecting any thumbnail preview variant, or using the Recolor options within Format Video dialog box. In Figure 8 you can see the selected video after recoloring. Compare the videos in Figures 1 and 8 to see the difference.